I did some research on this theatre and your address is different than what the city directory lists. The city directory shows an address for the theatre to be 3350 Cass. 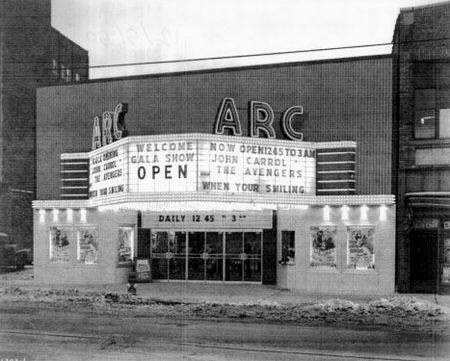 The Arc was built and managed by Jack & Mae Kress, a well known failmy name in Detroit the film business. From day one they closed the Arc in 1964, due the extension of Martin Luther King Blvd. The Arc was a Sub, Sub, Sub, run house and always played two or three Bills a week. Saw hundreds of features there. always cheap prices. Theatre was always well maintain and managed. JerryD. July 1959 - Jack Lindenthal, formerly of the Mack Uptown booth, has moved to the Arc, succeeding Everett Stewart, who moved to California. Robert Juckett is the swingman.